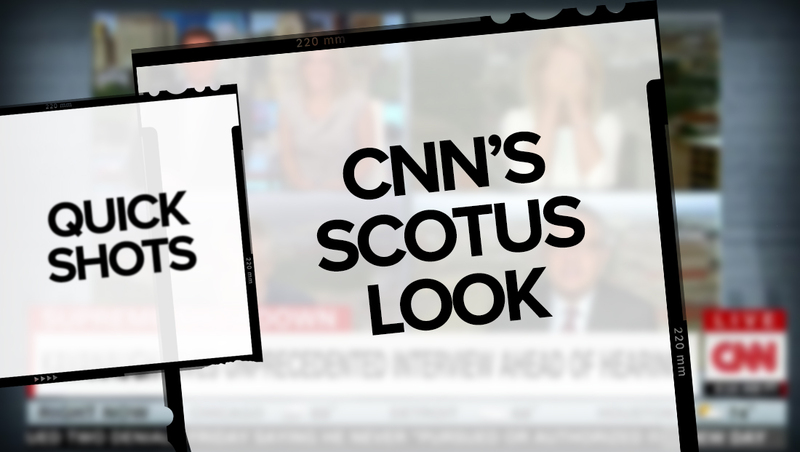 The topic of the Supreme Court is so much in the news lately, CNN has been using a special background during coverage of Brett Kavanaugh’s now stalled nomination process and the allegations of sexual harassment made against him. The blue-gray background features the words “Supreme Court of the United States” repeating and placed over faded imagery of the court building in Washington, D.C. The background typically appears on a loop behind various box arrangements during panels, including one were the panelists can be seen reacting to Kavanaugh’s own details of his sexual history on an interview with Fox News.